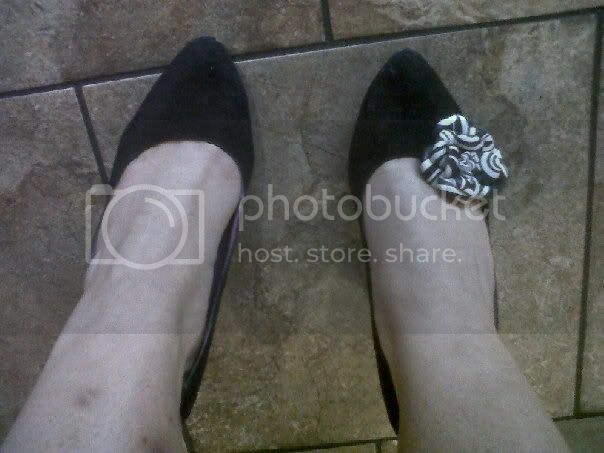 We had a Cincy Chic event called “Handbag Heaven” this week and one of our vendors had these cute little shoe clips. They completely transformed the look of my boring black pump! I ended up getting two pair… one for black shoes and the other for brown. I also realized, you can put the clip in your hair, on a blouse or on a handbag to spice up your look too! I got these at Buenos Aires Mercado, and they were only $15 for two!